How to Pick the Perfect Wedding Venue? Before even thinking of where you want to get married, it's important to first establish your budget. This looks different for everyone, since everyone's financial situation is just a little different. Decide if your parents will be helping you, if they will be paying for the entire wedding, or if you are paying for the wedding yourself. From there, make a list of what's most important to you (Venue, Photography, videography, florals, planning, music, food, decor, etc... ). It is SO important that you and your spouse to be are on the same page when it comes to this. This will be the first area of compromise in your marriage ;) Make sure to choose what's important to you both! Next, you must then decide how much total you want your wedding to cost. From there you can look at the categories listed and choose which items get the highest percentage of the budget. This is when you find out how much you have set aside for your venue. TIP: If you are on a tight budget, consider a Friday or Sunday wedding to save some money! Most wedding venues will include a few items, and some will include everything. Literally, some venues have packages that include EVERYTHING: florals, photography, videography, cake, decor, chairs, tables.... I would caution you with packages that include everything. These vendors, are most likely talented in what they do, but this limits your creativity in planning and choosing vendors. Ask your venue if they include: Chairs, tables, linens, trash service, lighting, catering (some require you to go with their caterer), use of the kitchen, rehearsal time, time to get ready before the ceremony.. the list can go on, but these are the things that factor into the cost of a venue- as well as location (real estate price and taxes), popularity, power bill, etc. One other thing to consider when looking at what venue offer or include, is a backup plan in case it rains, as well as their rain policy. Establishing your style before picking your venue is so important! I have heard too many brides regret their venue choice because they only allowed photography at a specific location, or their venue was all indoor with no great outdoor space for photos, or limited their freedom with certain decoration and floral options that they had envisioned for their day. Just because a venue fits into your budget, and has everything that you need for your wedding day, does not mean that it is the venue for you. 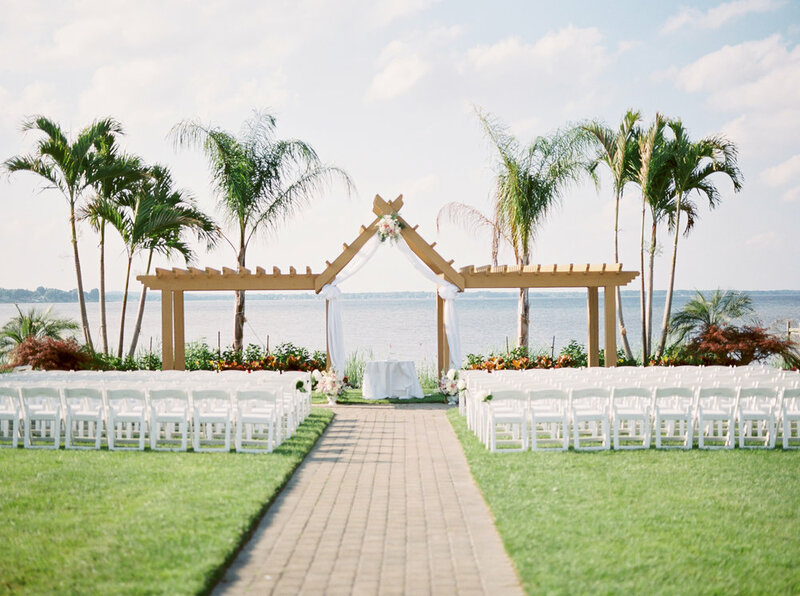 Take into consideration if you want an outdoor or indoor ceremony. Do you invision more light and airy images? Be sure that your venue has plenty of window light for getting ready, and even for the ceremony if you plan to have it inside. Do you want a more rustic look to your wedding? You should consider looking at farm venues that have lots of open space, or even a vineyard with lots of wood and stone details. If you invision a more formal European style, look for older estate venues and mansions. The options are limitless, and there are so many great venues in our area, make sure you give yourself enough time to establish a style for your wedding day before rushing into booking a wedding. We would love to help. Fill out the form below and we will be in touch soon!